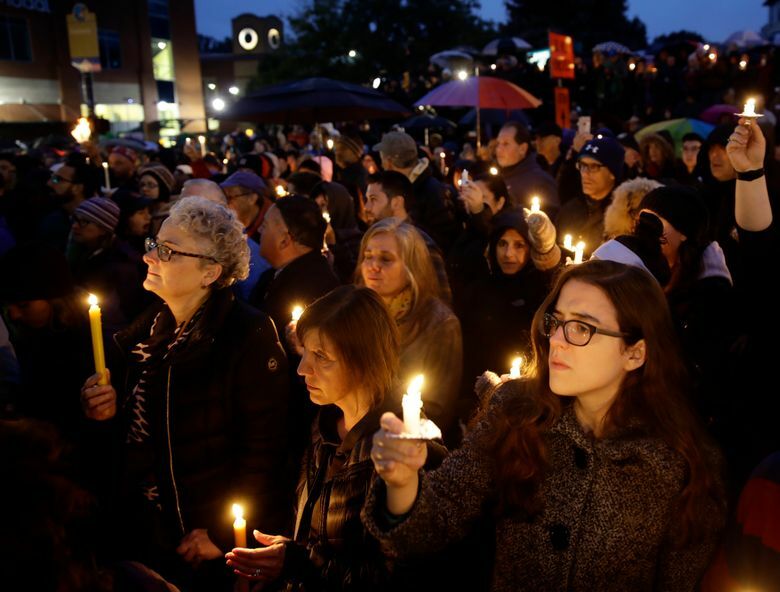 The dead include a 97-year-old woman, a husband and wife, and two brothers - all of whom were at services inside the Tree of Life synagogue when Robert Bowers allegedly burst in through an open door, screaming anti-Semitic slurs and shooting. 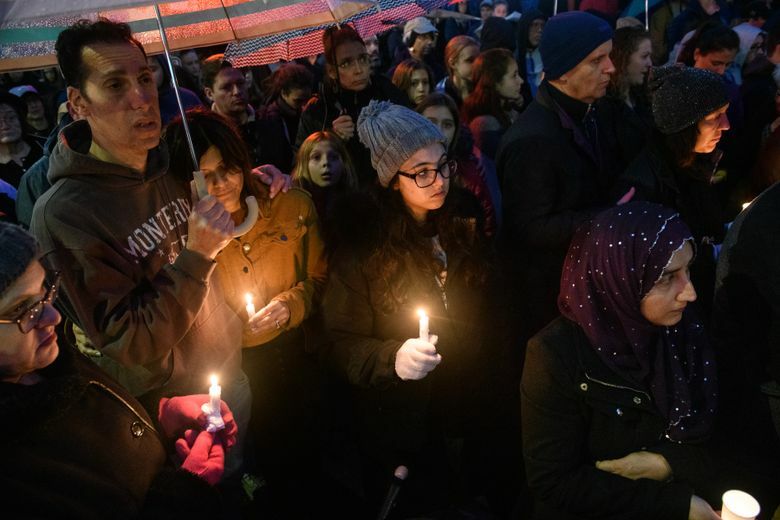 PITTSBURGH – The man who told authorities he just wanted “to kill Jews” shortly after a grisly mass shooting in a Pittsburgh synagogue was described Sunday as a loner who showed few outward signs of the vitriol he displayed in a trail of hate-filled online rants. Neighbors knew Robert Bowers as a truck driver who rarely hosted visitors but exchanged pleasantries as he came and went from his first-floor apartment in a complex in Pittsburgh’s suburban South Baldwin neighborhood. His unremarkable facade made the role authorities say he played in the massacre that left 11 dead all the more chilling, they said. Investigators on Sunday finished searching Bowers’ home as they continued sorting through the only public clues of the hate he seems to have harbored: online screeds written under Bowers’ name that hinted at a radical turn over the last year. Authorities on Sunday also identified the 11 victims they allege he gunned down inside Tree of Life synagogue. The dead included a 97-year-old woman, a husband and wife, and two brothers, all of whom were at Saturday-morning services when the gunman burst through an open door with three pistols and an AR-15 semiautomatic rifle and began shooting, authorities said. Pittsburgh Mayor Bill Peduto called the attack the “darkest day of Pittsburgh’s history.” He also disputed President Trump’s suggestion that the synagogue should have had armed guards. “The approach we need to be looking at is how we take the guns – the common denominator of every mass shooting in America – out of the hands of those looking to express hatred through murder,” he said. The mayor made his comments as the nation debated whether coarse, often degrading, political rhetoric and conspiracy theories are a root cause of the violent acts that have taken center stage at the end of a heated campaign season. The mass killing did little to abate it: Democrats on Sunday said Trump’s incendiary attacks on rivals have created fertile ground for those inclined toward extremism, while Trump and his allies defiantly blamed the media and liberal activists for fomenting unrest. Bowers, 46, is expected to appear in court Monday. He faces at least 23 state charges, including homicide, attempted homicide and aggravated assault against police officers. He faces an additional 29 federal charges accusing him of civil rights and hate crimes. 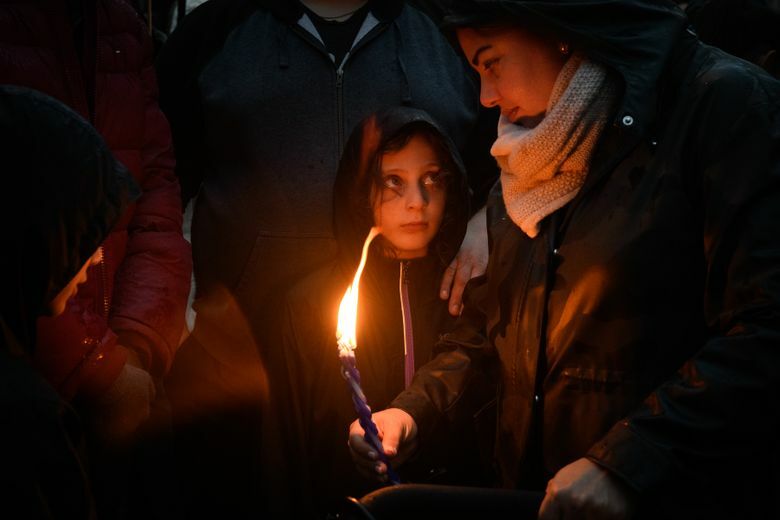 The attack, the deadliest on Jews in U.S. history, targeted a congregation that is an anchor of Pittsburgh’s large and close-knit Jewish community, a synagogue about a 25-minute drive from Bowers’ home. Neighbors said he moved into the apartment at the modest two-story complex where rents for some units are $600 a month about two years ago. When he moved in, Bowers told Owens that he was a truck driver and didn’t expect to spend much time in his one-bedroom apartment, she said. “He said he just needed to store his stuff,” said Owens, 30. It’s unclear how long Bowers had worked as a trucker, or whether he has recently. In September, an account under his name on the social media site Gab posted a photo that the user said was taken in the mid-2000s of his truck at a St. Louis truck stop. Owens said Bowers would say hello to her from time and time while outside smoking a cigarette. She never saw him with guests. “We would have small talk, but he just seemed like a normal guy, and that is the scary part,” she said. Owens said local police and federal agents knocked on doors at the apartment complex about 1 p.m. Saturday and asked all the tenants to evacuate. Owens, who always parked her car next to Bowers’ teal Hyundai, said she last saw him a few days ago when they were warming up their vehicles after a fall frost. Owens’ fiance, Chris Hall, said Bowers dressed casually and would sometimes leave his television on well past midnight. Bowers was a frequent visitor at the home of Cindy Odorisio about 10 minutes away, neighbors there said. Neighbors said she and Bowers were relatives, though their precise relationship was unclear. John Boff, 58, who lives across the street from Odorisio, said she lives in the house with a disabled son. Boff said Bowers sometimes stayed for extended periods. Neighbors assumed Bowers was a caretaker for the disabled man. Members of a Facebook group for alumni of Baldwin High School in Pittsburgh said in postings that Bowers attended their high school in the late 1980s. One classmate recalled him as “troubled,” and another wrote that he was a loner who often wore a green military jacket. Others said they could not recall him. One posted a yearbook photo showing him with shoulder-length hair and a T-shirt. Alumni who could be reached by phone declined to comment. Police in the Pittsburgh suburb of Dormont, where Bowers lived for a time, told the Pittsburgh Post-Gazette that they had a number of “contacts” with Bowers beginning in the 1990s through 2004. Sgt. James Burke told The Washington Post that reporters had to file a request through the state’s open records act on Monday before Bowers’ record could be released. Bowers’ low profile stands in sharp contrast to feeds on Gab, including the since-deleted account in which a user with Bowers’ name compared Jews to Satan and complained that Trump’s “Make America Great Again” movement cannot succeed as long as Jews “infest” the country. Half a dozen of Bowers’ posts included slurs against women who had relationships with black men. He uploaded many posts that referenced nooses and ropes and hanging. Nearly 20 posts used the n-word. “The Libertarian-to-Far-Right pipeline is a real thing,” the post said. The Washington Post’s Annie Gowen, Mark Berman, Wesley Lowery, Julie Tate and Alice Crites contributed to this report.